Socialists, particularly the Marxists from Democratic Socialists of America (DSA)and the Communist Party USA now dominate the US union movement. Their intention is to use union money, muscle and manpower to move the US government further down the socialist road. Barack Obama has close ties to DSA (particularly the Chicago branch)and has long been supported by the Democratic Socialists and their Communist Party allies. The DSA and CPUSA regard Barack Obama as sympathetic to their cause. For that reason, many socialist led unions are backing Barack Obama's presidential bid. Now one of the US's largest and most influential labour organisations, the Service Employees International Union (SIEU) has thrown its weight behind Obama's campaign. "There has never been a fight in Illinois or a fight in the nation where our members have not asked Barack Obama for assistance and he has not done everything he could to help us," said Andy Stern, the Service Employees International Union's president, according to the Associated Press. SEIU announced today its endorsement of Barack Obama for president. Nurses, childcare workers, janitors and other service workers endorsed Sen. Barack Obama for president today, calling him the candidate with the best vision, best plan and best strategy to lead the country to a new American Dream. Stern stated, "Barack Obama is creating the broadest and deepest coalition of voters we’ve ever seen." This is a huge coup for Obama, but hardly surprising as the SEIU leadership is strongly linked to DSA. SEIU president Andy Stern gained his current position when his mentor, "card carrying" DSA member John Sweeney left the job to take on the US labour movement.s top job-president of the AFL-CIO. Stern is a former New Leftist who came out of the University of Pennsylvania. In one of the eulogies given at a Democratic Socialists of America (DSA) memorial after the death of DSA co-founder Michael Harrington, Steve Max, the Midwest Academy's Director of Organizing and Training, gave tribute to "the people who worked with or fought with Mike who now staff high councils of the AFL, like Andy Stern of SEIU…." Stern is one of many radical union organizers who came out of the Midwest Academy, which was formed by onetime Students for a Democratic Society (SDS) members Paul and Heather Booth to train community organizers and infiltrate the labor movement. Probably the most well-known organizing method is Alinskyism, named after Saul Alinsky, a Chicago-born community organizer who helped set up the Back of the Yards Neighborhood Council and later the Industrial Areas Foundation in the 1930s. (Today in New York Alinskyism can be found in groups that do neighborhood-based organizing like ACORN, Mothers on the Move, TICO as well as NYPIRG). The Mid-West Academy is a training center set up by members of DSA [Democratic Socialists of America] that draws heavily from Alinskyism. Barack Obama was a disciple of Alinsky while working a "community organisor" in Chicago in the early "80s. later he did considerable legal work for the radical community group ACORN, which is closely linked to the Midwest Academy. ACORN and Chicago DSA formed the backbone of the leftist New Party which Obama worked closely with during his successful 1996 Illinois State Senate bid. Steve Max, associate director the Midwest Academy is a DSA Vice-Chair, while academy founder Heather Booth and current executive director Jackie Kendall both have close ties to Chicago DSA. Jackie Kendall also knew Barack Obama when he first worked in Chicago. SEIU Vice President Gerry Hudson is also close to DSA. According to this January 2007 Boston DSA newsletter advertising the Young DSA conference in New York. "Democracy and Socialism in the 21st Century”. Speakers include Noam Chomsky, Barbara Ehrenreich, former Boston DSA Chair Joe Schwartz and possibly Jerry Hudson of SEIU 1199,among others. Chomsky and Ehrenreich are also DSA members. It is likely that Hudson is at least a sympathiser. In February 1996 Schwarz spoke alongside Barack Obama at a Young DSA organised forum at the University of Chicago. 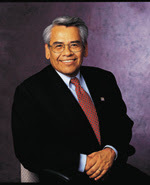 Another SEIU vive president, Eliseo Medina is both an honorary chair of DSA and a supporter of the Communist Party newspaper, Peoples Weekly World. Medina was involved with Chicago DSA in 1975, working on the farmworkers union "grape boycott". While there he recruited a young Jan Schakowsky to the union cause. Schakowsky also has close ties to Chicago DSA and is one of Barack Obama's key supporters in the US Congress. Such is the incestuous world of US labour/left politics.